Climate science paints a bleak picture: The continued growth of greenhouse gas emissions is increasingly likely to cause irreversible and catastrophic effects. Urgent action is needed to prepare for the initial rounds of climatic change, which are already unstoppable. While the opportunity to avert all climate damage has now passed, well-designed mitigation and adaptation policies, if adopted quickly, could still greatly reduce the likelihood of the most tragic and far-reaching impacts of climate change. Climate economics is the bridge between science and policy, translating scientific predictions about physical systems into projections about economic growth and human welfare that decision makers can most readily use but it has too often consisted of an overly technical, academic approach to the problem. Getting climate economics right is not about publishing the cleverest article of the year but rather about helping solve the dilemma of the century. The tasks ahead are daunting, and failure, unfortunately, is quite possible. Better approaches to climate economics will allow economists to be part of the solution rather than part of the problem. This book analyzes potential paths for improvement. Why not download our Routledge FreeBook Environmental and Ecological Economics? 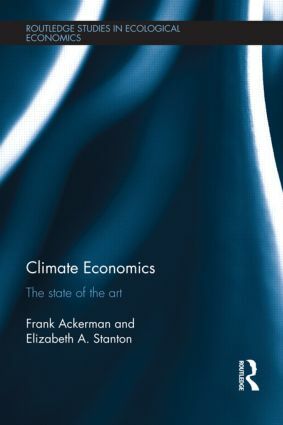 This resource contains a chapter from Climate Economics, along with along with a selection of excerpts from our other titles in this field.